Our company has grown and we have rebranded. We pride ourselves on delivering the highest possible levels of customer service and satisfaction from the start to finish of our home removals service. 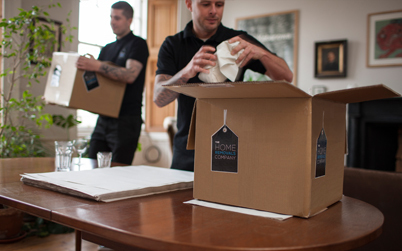 The Home Removals Company operates out of Edinburgh, Glasgow and London, providing a fast, friendly, efficient and value for money service for your house or flat removal throughout the UK. 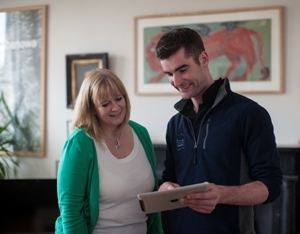 Try our instant online quote for a no obligation quote in seconds with the knowledge that your precious possessions are covered by fully comprehensive insurance up to £30,000. Just looking for a price? Our 30 Second Quote feature allows you to get a price without entering in any personal details. We don't even need your full postcode! Site content © 2019 The Home Removal Company. Our company has grown and Flat2Flat is now The Home Removals Company offering the same high quality, personal home removals service throughout the UK.